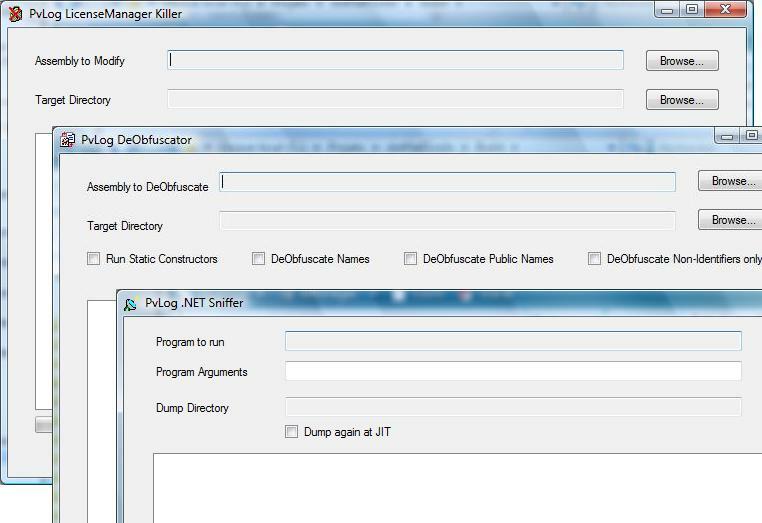 dotNet Tools is a freeware suite that includes dotNet Sniffer, PvLog DeObfuscator and PvLog LicenseManagerKiller. dotNet Sniffer uses the .NET profiler API to save assemblies loaded from memory. PvLog Deobfuscator is a MSIL code optimizer that makes more readable obfuscated code. LicenseManagerKiller is a tool that removes LicenseProvider attributes in the assembly.